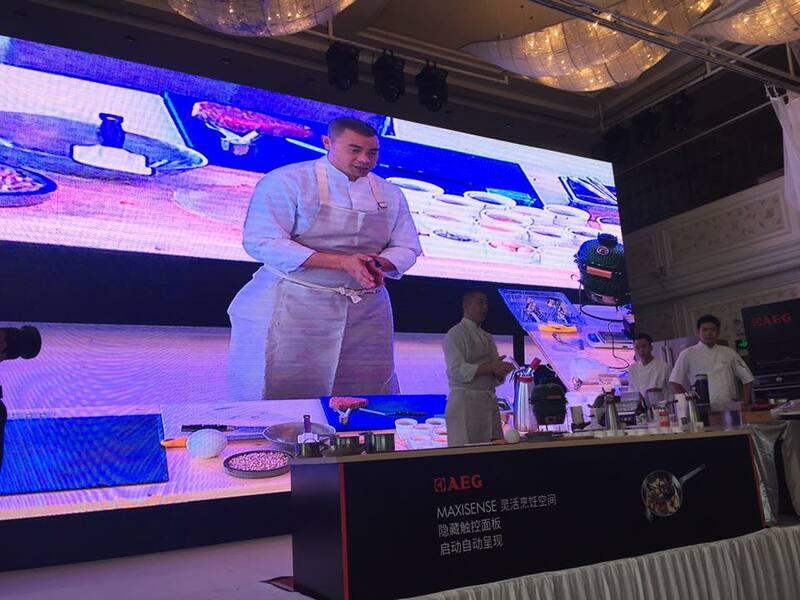 The social status of chefs in China is too low. Chefs have traditionally been seen as common laborers. I said let's respect this career: respect yourselves as artists and professionals. I said making delicious, beautiful food is not enough, actually that's the most simple, basic requirement for a good restaurant. Modern chefs who succeed internationally have a vision and a social conscience far bigger than just their menu. Look at Massimo (#2 World's 50 Best) and his feed the homeless project using waste food, Food for Soul, or Virgilio (#5 World's 50 Best) and his mission to preserve and celebrate unique indigenous ingredients from all over Peru, through his organization Mater Iniciativa. I said: be proud of your profession, go out and create with confidence, and also make a contribution to society. So much more I'd like to share with them about independent thought, telling a story through their menu, the importance of travel and getting outside your comfort zone. Next time! Thank you again Chef Andre Chang, you are an inspiration to a generation of chefs, #14 on The World's 50 Best Restaurants 2017 and the only ethnically Chinese chef on the list.